The game has been delayed as have a lot of Dragon Ball merchandise due to the studios having to wait to see how successful the Battle of Gods movie was. When it smashed predictions it gave the green light to a lot of new Dragon Ball Z stuff which will be coming our way soon. 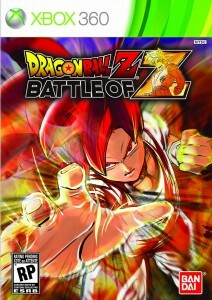 The Battle of Z game will be available on Xbox 360 and PS3 and possibly other ports coming to hand held consoles near the time too. The game will feature just about every character int he DBZ universe as a playable character and even feature Super Saiyan God Goku. One of the best things about this game will be the team battle where you can join other Z fighters online to beat bigger enemies together.